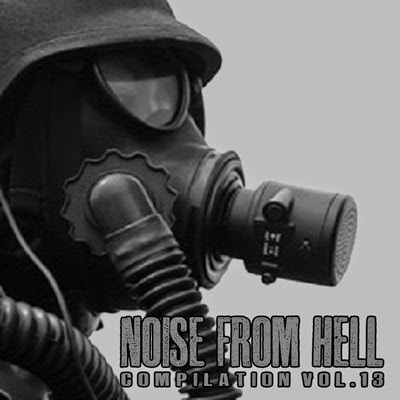 NOISE FROM HELL COMPILATION VOL.13 featuring ATROFIA (Colombia), CHAKI CHAN (Argentina), DOCUMENT 6 (Germany), EXECUTION OF TERROR (Philippines), INFECCION NECROTIZANTE (Colombia), KRISISIDENTITAS (Indonesia), KUSH (Argentina), LOS DE AFUERA (Argentina), MIDRANGE (Malaysia), ŠUGA (Bosnia and Herzegovina), SYS-RA (Finland), UNA RAZÓN PARA CONTINUAR (Argentina) and xIxCxSxPx (Mexico). *include cover arts for CD and Tape format. Thanks for downloading. Enjoy the music. Make it on physical copied CD-R or Tape (dubbed on 90 minutes blank tape) for personal non-commercial uses. Only featured bands in this volume have the rights to produce (unlimited) copies of CD-R/Tape for sale/trade. Spread the madness! Support each other, make noise not war! #hxc punk, noise/grind, crust, thrash/metal punks band do submit your track for the next volume.. send to facebook.com/trashnoiser or trashnoiser@gmail.com.